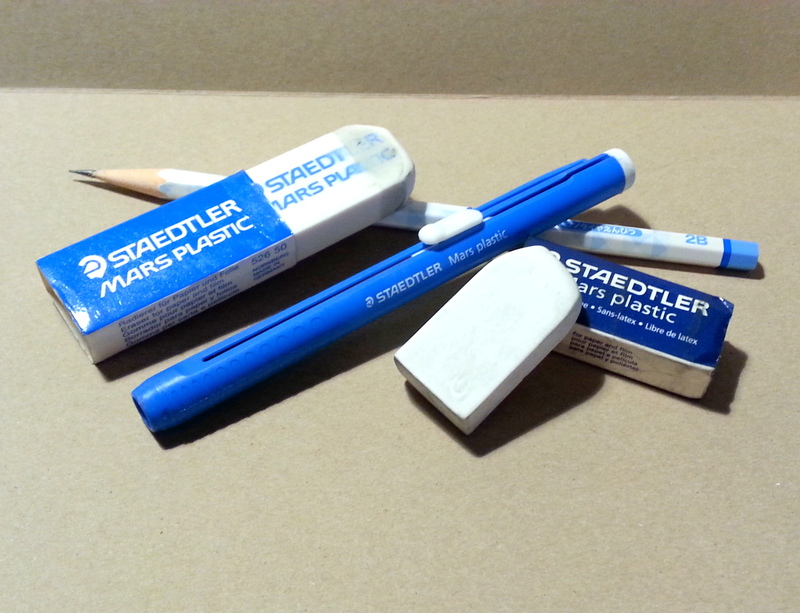 A few week’s ago Johnny Gamber of Pencil Revolution, my comrade in pencils, posted a picture of the always wonderful Staedtler Mars Plastic Eraser(SMPE). It’s one of my long time favorite erasers. 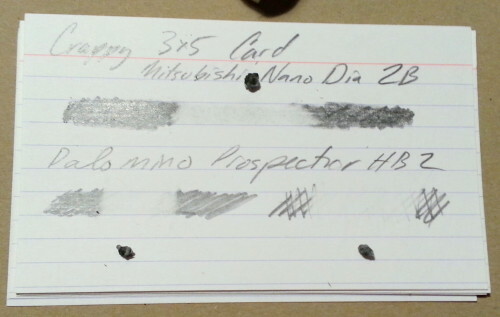 It’s plastic is gentle on paper and soft enough to clean graphite out of almost any rough paper. It is an eraser that I suggest to friends who are seeking a good eraser. I do this for many reason. First you can’t get a SMPE just about anywhere. Every art, craft, or stationary store carries them. Second, I have used them for years and know they are reliable. Third, there is something safe in recommending this old standard. I don’t know anyone who doesn’t like it, it’s a safe recommendation. It has a few problems. The largest is that it’s a messy eraser that leaves crumbs everywhere. It also collects dirt as if it is a magnet. So if you are bothered by your erasers looking filthy, well, this one is going to piss you off. Finally, without it’s paper sleeve it tends to tear into smaller pieces if you don’t support it well with your fingers. Th9is is why I told Johnny to “up his eraser game, and get the Sakura “Super*” Foam Eraser.” The Sakura Foam Eraser (SFE) is a soft, white plastic eraser that arrives in a bit of cellophane and a card sleeve. It has a sticky texture that I’ve grown to love. The stickiness allows the crumbs to be rolled into a ball that sticks to the end of the eraser or picked up by pressing the eraser to the crumbs. When I read the sticky rubber info online I thought it was kinda stupid, but oh no, it makes clean up so much easier. That’s not just add copy, that’s a really real useful addition to the plain old plastic eraser. It is a super soft plastic that wears down pretty quickly on rougher paper. But it’s also relatively cheap at Jetpens. I don’t find it to be that much softer than the SMPE in use they seem to wear down at about the same rate. 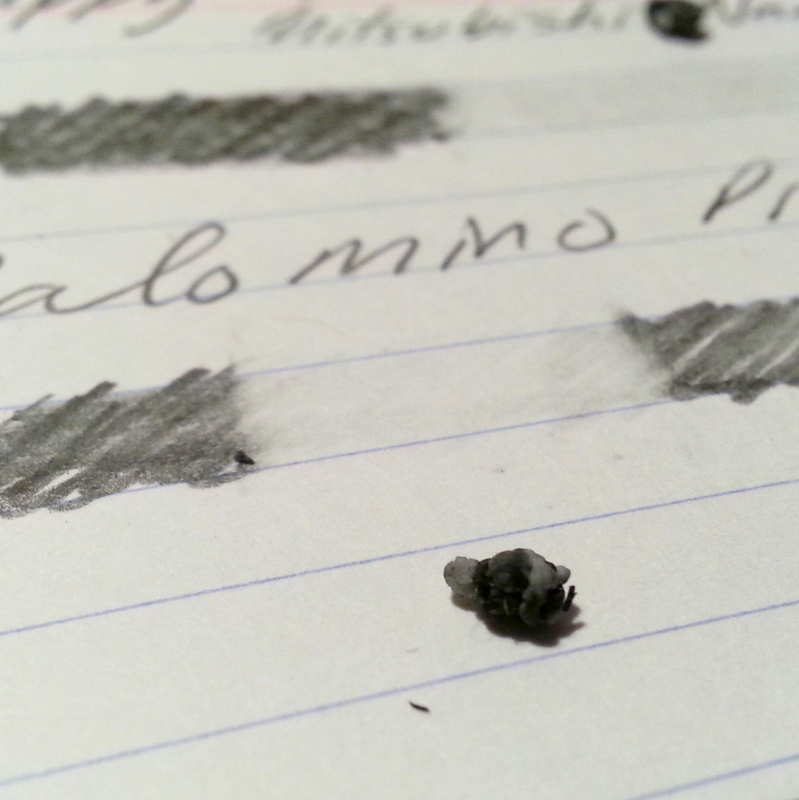 It cleans the page of every trace of graphite. On some paper it’s as if the writing never existed at all. It is soft enough to get down into the crevices left by the writing and clean the graphite out. Which is pretty amazing. Then when you are done cleaning, the crumbs are all clumped up and clinging to one another or to the eraser. 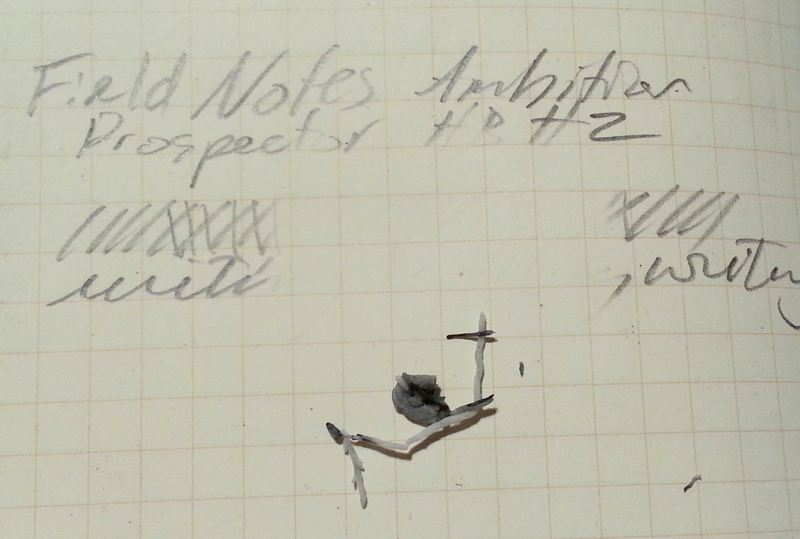 I have has small bits break off the edges of my eraser as I used it, but like I wrote, these bits were small, and didn’t affect performance of the eraser. I did not get any cracking where the eraser and the paper sleeve met. 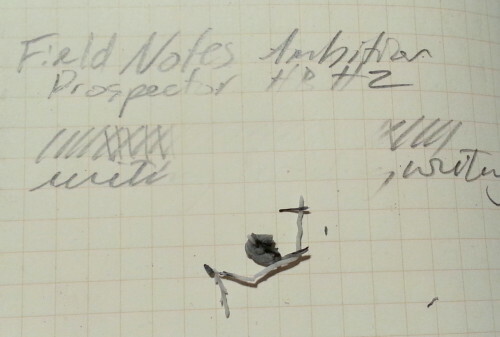 I also purchased the smallest offering on Jetpens, though I later purchased a much larger version when I neared the end of my small SFE W60. This should be an indication of just how much I enjoy this eraser. I own over a dozen different erasers and I bought a duplicate. I haven’t bought a duplicate of any eraser save a kneaded, a SMPE, and a few that were required in college. For me to buy a second of any eraser, now, when I can purchase any eraser that I desire. Well, that’s a ringing endorsement. 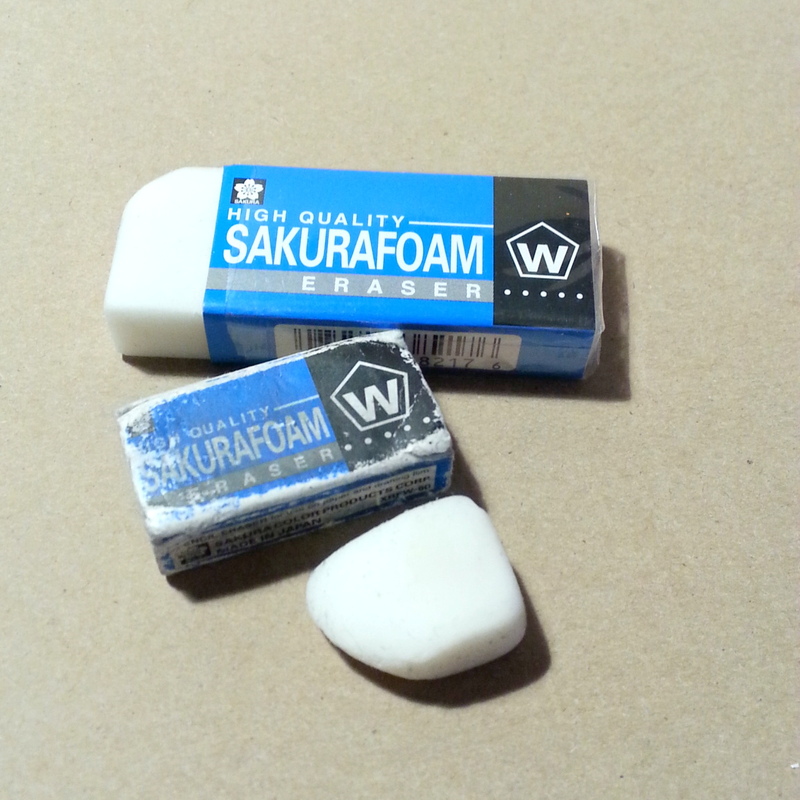 Anyway, you can up your eraser game by purchasing a Sakura “Super” Foam Eraser of your very own. *I added the super because I love it so much. I purchased this out of my own curiosity and a burgeoning eraser fetish. Don’t judge. I received no compensation for this review, though I wouldn’t turn away free product from JP if they were to offer some erasery pencily goodness. This entry was posted in Review and tagged eraser, foam, jetpens, plastic eraser, sakura, sakura foam, white on 20150217 by leslie.